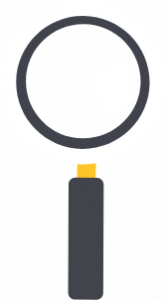 AddSearch provides an enterprise-level search that makes content from multiple platforms searchable with a single search. Enjoy fully-featured, hosted site search with implementation consulting, and priority support. Information is the lifeblood of your company. With AddSearch you can combine the scattered content from blogs, web stores, as well as from helpdesk and make it searchable with a single search. Contact our sales to find out how we can make your information searchable. Does your company have a customer support website? Or perhaps a digital newsroom? With AddSearch, you can cover your entire network with one search, or create separate search boxes for different sections. Separate subdomains and multiple websites are all catered for with AddSearch. Make the most of your online assets with our multi-domain support. Do you have technical specifications, white papers or other documents in PDF format? With AddSearch, you can make content inside PDF files searchable, so your most valuable content will never be overlooked. AddSearch detects the default language of your pages and only displays search results that match the language. Consistent branding is essential for cultivating trust and building your reputation online. With simple CSS tweaks, you can customize the look-and-feel of the search box and search results page to align with your brand. Several user surveys have shown that website visitors often don’t to refine their initial search queries. Most leave a website if the first search does not bring up the results they expected. That’s why at AddSearch we work hard to deliver the right results – on the first search. Our intelligent algorithm learns from your users and boosts the popular results that are clicked frequently. Your users will find Caribbean hotels whether they search for Carribean, Carribbean or Caribean. Your company sells trousers, but some of your users call them ‘pants’ or ‘slacks’. AddSearch allows you to specify certain words as synonyms that should produce the same search results. Sometimes visitors search using informal terms that aren’t directly included on the relevant page. The hidden keyword feature allows you to tag pages with other common search phrases or words, so that they show up even when the search term is not on the page. Gain valuable insight into how your users are using search. Our search analytics tool helps you to discover how often your users search, what they search for, and whether they find it. We also highlight the searches that returned no results, as well as searches with no clicks on the results. You can use this information to guide future content production and to give your users exactly what they are asking for. Our analytics help you to understand how often visitors use search, and which terms they’re searching for most. Use this information to build your FAQ page and highlight your most searched for – and often most valuable – content. Uncover the searches with no results. Use these searches to drive your future content production, as well as tagging existing pages with hidden keywords and building your synonym library. Irrelevant results are almost as bad as no results. Use this tool to enhance your existing content, or to produce new content that answers your user’s questions more accurately. AddSearch is lightning-fast. Search results pop up the moment a user types in the first character. Try it out for yourself to see just how fast it is. Search results include a screenshot of the page, so your users can find the right page effortlessly. AddSearch delivers a stellar search experience, regardless of whether your users are on the desktop or mobile devices. Both the search interface and results page adapt to the screen size, with no pinch-zooming or side-scrolling necessary. As stated, information is the lifeblood of your company. Combine the information and make it searchable from a single search field. Contact our sales team to find out how we can make your information searchable.